Ottawa (AFP) - Justin Trudeau, a young and handsome outdoorsman and former bartender, among other roles far removed from politics, proved Monday he is not just another pretty face. The son of the late and beloved premier Pierre Trudeau has led Canada's opposition Liberal party to a landslide in Canada's general election. The former French teacher, aged 43, overcame campaign attack ads claiming he was "just not ready" to lead Canada. With his mop of dark curly hair, a confident swagger and hints of his father's style of speaking, Trudeau looks years younger than he is. Rivals cast this as a liability during the campaign as he tried to convince voters he was shrewd and experienced enough to be prime minister. Trudeau is actually only three years younger than outgoing Conservative Prime Minister Stephen Harper was when he was first elected in 2006. "He's not the smartest guy in the room," former senior Liberal MP Bob Rae told The Globe and Mail newspaper. "But he knows how to reach a room. He likes people, and people like him." The Trudeau family is often compared to the Kennedys in the United States. Pierre Trudeau, who died in 2000, was prime minister from 1968 to 1979, and again from 1980 to 1984. He is considered the father of modern Canada. He was admired for the force of his intellect and praised for his political acumen in preserving national unity against Quebec separatists. The elder Trudeau established the Charter of Rights and Freedoms, decriminalized homosexuality and pushed for the bilingualism and multiculturalism that have become an integral part of Canadian national identity. Justin's birth on December 25, 1971, made front page news across Canada. His mother Margaret's partying with the Rolling Stones and her 1984 divorce from Pierre -- Canada's first big political scandal -- was also fodder for tabloids. Justin Trudeau spent many of his early years working out a direction to take in his life, working as a whitewater guide, snowboard instructor, bartender, bouncer, a public speaker and an advocate for various causes. His eulogy at his father's state funeral in 2000 arguably launched his political career. He was approached to run days afterward, but said no. It was too soon. "The battle to convince myself and others that I was my own person had challenged me all through high school and university," he wrote in a recent memoir. "Why should I negate these efforts by making the one career choice that would guarantee I would be measured according to my father's achievements?" 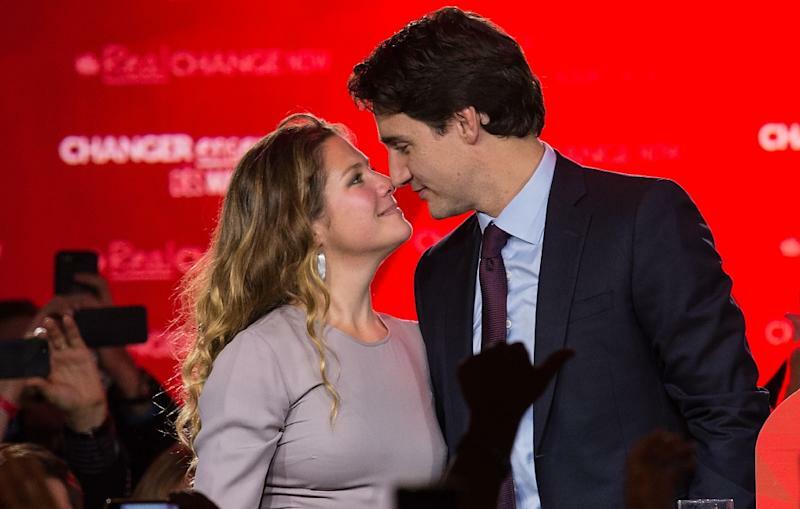 In 2005, Trudeau married television host Sophie Gregoire and soon had three children: Xavier, Ella-Grace and Hadrien. Trudeau would eventually run in a gritty, working-class neighborhood of Montreal and was elected to the House of Commons in 2008 and re-elected in 2011. 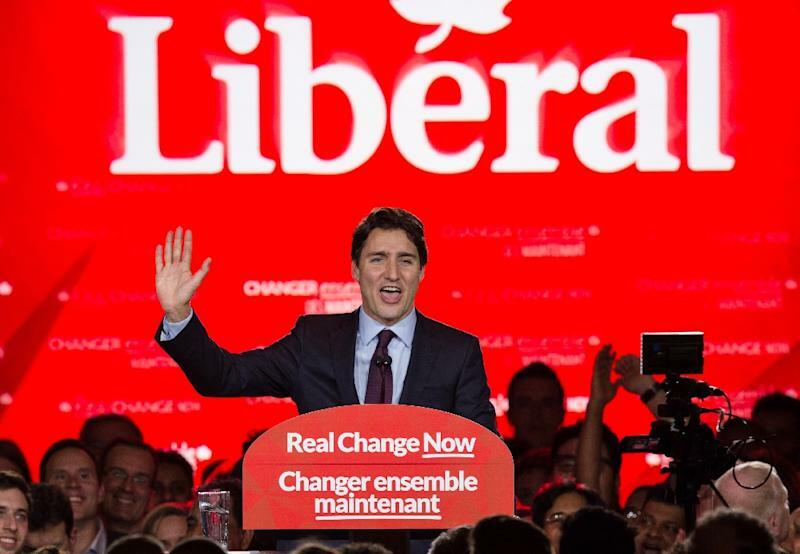 Liberals hoped when they made him leader that his youth and famous name would revitalize the party in time to challenge the Conservatives in 2015. 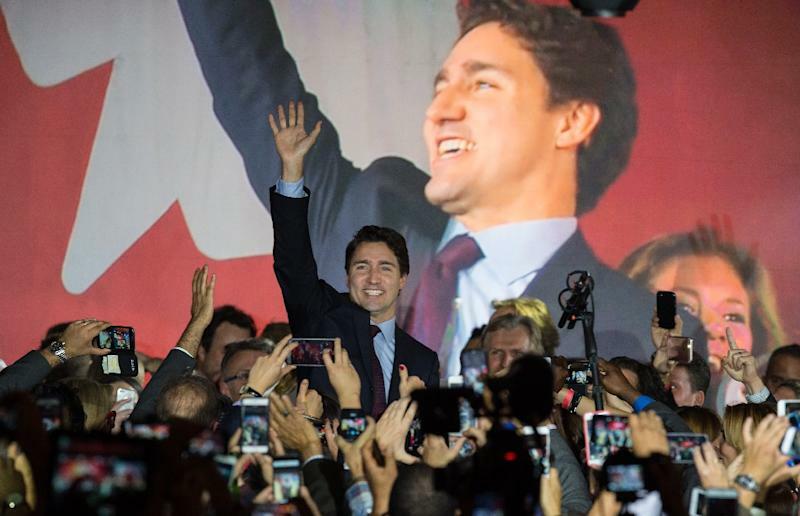 In two years, Trudeau brought in Can$37 million (US$28.45 million) to the party and attracted 57,000 volunteers to the campaign, while party membership rose tenfold to 300,000. But he raised eyebrows by admitting to having smoked marijuana at a dinner party with friends since being elected to parliament. During the campaign, Trudeau worked off his energy by boxing once a week with an aide, sparring at any gym they could find wherever they were in the country. "Boxing's not about beating up on the other guy. It's about sticking to your plan while the other guy takes shots at you," Trudeau told The Globe and Mail.